From Stonehenge to Greek temples, architecture is the signature of humankind on landscape​, the artificial element that has always been connected to the natural environment. Architecture and landscape are linked by a fundamental continuity that is now starting to fade​, damaging the quality of the space we dwell. More than ever today, landscape is a precious heritage that architecture can and must enhance, while protecting it to pass it on to future generations: architects must not give up on working on landscape, instead they should be able to design architecture that responds to each landscape’s specific feature and generates wonderful and unique spaces. The Architecture for Landscape course is created on these premises: it aims at training designers who are able to meet the diverse needs of transforming territories​, enforcing an attentive and productive dialogue with the surrounding landscape to respond to the needs of prestigious clients in outstanding contexts. Through a thorough analysis of the natural world, light and geomorphological features of terrains, the designers will become more and more able to reconnect human design to the natural environment and being inspired by landscape to design outstanding, sustainable and impressive architectures. choice of materials, technologies, elements of sustainability and care of different botanical items. Moreover, thanks to their internships in well-renowned professional firms, the students will gain an efficient link to the labor market. 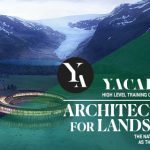 YAC is an association which promotes architectural competitions aimed at fostering culture and design research. Over the years, YAC has broadened its experience of work and collaboration with the main architectural firms of contemporary architecture​, dealing with diverse and numerous topics of architectural design. Nowadays YAC’s expertise can serve young designers better, providing them with the creation of high-level educational programs aimed at polishing the skills of the students and offering them a valuable connection to the labour market. 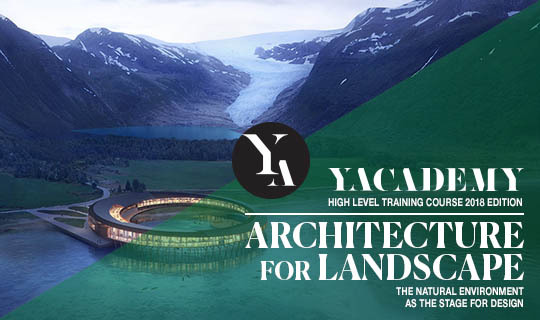 Thanks to the close relationship with internationally renowned professional and academic actors, YAC is the perfect frame within which complete or specialize one’s skills and create a significative link with the most internationally-renowned architectural practices. 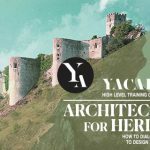 The courses will take place at YACademy’s headquarters: a historical building located in the heart of Bologna historical city center, close to the Two Towers and next to Piazza Santo Stefano,​ undoubtedly one of the most picturesque corners of the city.